Draft guidance sums up agency’s policies for determining exclusivity, clarifies when the clock starts for failure to market. For more than a decade, ANDA sponsors have struggled with FDA over the complex rules for obtaining 180-day marketing exclusivity. The agency recently issued a guidance that answers 45 of the most commonly asked questions about the policy, which may help firms get through the labyrinth. The draft guidance, 180-Day Exclusivity: Questions and Answers, sums up the positions FDA has taken in litigation, responses to citizen petitions, correspondence and public comments. The document addresses exclusivity as it pertains to abbreviated new drug applications (ANDAs) subject to the Medicare Modernization Act of 2003. The statute specifies requirements for submitting patent information and paragraph IV certifications and the situations in which an ANDA sponsor forfeits 180-day marketing exclusivity. “FDA believes that a guidance for industry that provides answers to commonly asked questions about 180-day exclusivity would enhance transparency and facilitate the development, approval, and timely marketing of generic drug products,” the guidance states. FDA says it intends to update the guidance in the future to include additional questions and answers. Suchira Ghosh, counsel at Axinn, Veltrop & Harkrider, noted that the guidance is a step in the right direction regarding transparency. “A lot of times FDA makes 180-day exclusivity decisions in a bit of a black box,” she said. Ghosh noted that FDA addressed a few minor points for the first time, such as when the clock starts ticking on failure to market. The Medicare Modernization Act specifies several situations in which an ANDA sponsor forfeits 180-day exclusivity, one of which is failure to market a drug by the later of two dates. One of the dates is 75 days after a final decision in the patent case for a first applicant or subsequent applicant with tentative approval. Ghosh said it has been unclear if the 75-day clock starts after the subsequent applicant receives tentative approval or after a court decision on an infringement action, or the later of the two. The guidance states that the clock starts upon the final court decision even if the subsequent applicant has not received tentative approval at that time. 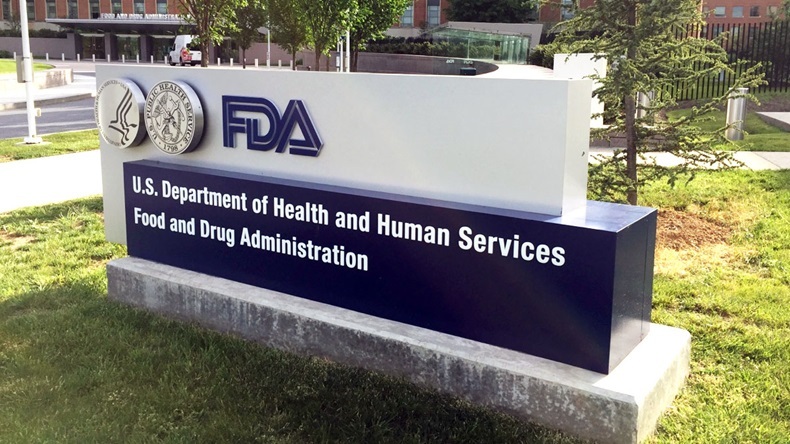 Ghosh said the guidance also notes that FDA has never used the forfeiture provision when the first applicant has entered a collusive agreement with the brand company or another applicant. She said this is of interest given the Federal Trade Commission’s examination of reverse payments between brand-name and generic firms to settle patent litigation. The guidance does not address several questions, which may be included in updates to the Q&A. For example, Ghosh said the guidance doesn’t talk in depth about each of the factors FDA considers in deciding timely approval, which she noted is the most commonly used forfeiture provision, cited in about half of 180-day exclusivity cases. The statute says that to qualify for the exception to this provision, the failure to obtain tentative or final approval must be caused by a change in or a review of the requirements for approval of the application imposed after the date on which the application is filed. Ghosh said the guidance does not address what happens if FDA changes the approval requirements around the 30-month deadline but it still takes the applicant much longer to get approval. The guidance just addresses when the applicant gets approval fairly quickly after the 30-month deadline. Karst also observed in an FDA Law Blog post that there is still a question of whether an ANDA applicant who provided paragraph IV certification to a now-expired patent qualifies as a first applicant eligible for 180-day exclusivity. The agency sought comment on the issue regarding an application for generic Restasis (cyclosporine ophthalmic emulsion). The guidance provides an overview of the ANDA approval pathway, which was established by the Drug Price Competition and Patent Term Restoration Act of 1984 (the Hatch-Waxman Act). An ANDA applicant generally must submit certifications to FDA for the patents the brand-name drug sponsor has listed in FDA’s Orange Book. A paragraph IV certification states that the patent is invalid, unenforceable, or will not be infringed by the manufacture, use or sale of the ANDA applicant’s product. The first ANDA applicant to file a substantially complete ANDA containing a paragraph IV certification to a listed patent qualifies for 180-day marketing exclusivity. The agency notes that many factors may influence eligibility for exclusivity up to the time an application is ready for approval, which could make a premature eligibility decision incorrect. The agency will inform the applicant affected by exclusivity of its status when it makes an approval decision on the ANDA. Among other points, FDA also clarifies that the first applicant to submit a paragraph IV certification does not have to submit the certification for more than a single patent. In addition, it says an ANDA applicant can qualify as a first applicant when it includes both a paragraph IV certification and a section viii statement that omits an approved method of use from the generic drug’s labeling. In one of the most recent cases, Par Pharmaceutical (now a unit of Endo Pharmaceuticals Inc.) challenged FDA’s conclusion that it had forfeited eligibility for 180-day exclusivity because it had not maintained an uninterrupted paragraph IV certification with respect to any claims in two of Takeda Pharmaceutical Co. Ltd.’s Colcrys (colchicine) patents. (Also see "Par Fights FDA Forfeiture Of Generic Colcrys Exclusivity" - Pink Sheet, 3 Oct, 2016.) Par dismissed the complaint one day after filing it. Courts have also tackled the failure-to-market provision in which the first applicant failed to obtain ANDA tentative approval within 30 months after the date on which the application was filed.